The city of Galle lies on Sri Lanka’s southern tip, within realistic day-trip distance of Colombo. With this private tour, swap the stresses of train or bus travel for a personal driver-guide and private vehicle: enabling you to stop at other attractions en route. 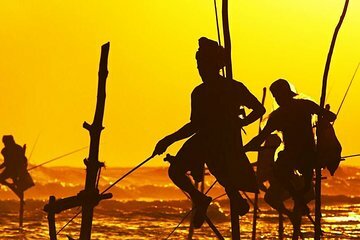 Explore Galle Fort and lighthouse; visit a tsunami museum, turtle hatchery, and stilt fishermen; and opt to add a river safari, or island or beach visits.